One of the Arrowverse’s most prolific directors is apparently helming the Season 4 premiere of The Flash. Vancouver production charts list Glen Winter as the director of the Flash Season 4 premiere. 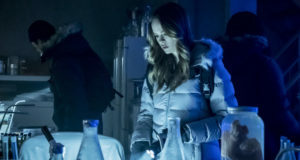 The title of the episode is “The Flash Reborn,” as revealed by the Flash production office on Twitter; sadly, the Flash Production Office is no longer on Twitter, and we hope that that post didn’t get them into any trouble. If anything, it just got us all more more excited! The second director listed for Flash Season 4 is Alexandra La Roche. 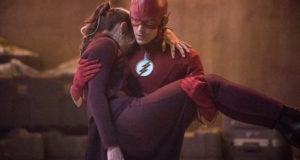 She helmed “The Wrath of Savitar” last year, and her previous credits also include working a script supervisor on Fantastic Four: Rise of the Silver Surfer and The Tomorrow People. Flash Season 4 filming began earlier this week and is expected to continue through April 21, 2018 in Vancouver. Season 4 begins airing Tuesday, October 10 on The CW; be sure to follow @FlashTVNews on Twitter for updates throughout the summer!